Turning Vision Into Action: Responding to Failure: From Policy to Practice! Responding to Failure: From Policy to Practice! Last Friday I had the wonderful opportunity to participate with several hundred educational leaders and teachers at the 2012 CMP Mathematics Teacher Retention Symposium in Los Angeles. The 3-day symposium was filled with remarkable sessions about how Universities and School Districts can work together to create a coherent and well researched plan and action for the retention, support and sustainability of a well-prepared mathematics and science work force. And as I have discussed before, it is not easy. Creating a relational culture and the conditions that intentionally abandon bad practice (often revealed by data) and focus on coherent implementation of new practices is never easy. For those of you that attended my session on Policy at the symposium, you can download the PDF of the presentation materials. So, in my last blog entry I suggested you take a deep look at your school and district’s coherent response to failure…. and mentioned that I would follow up with a few blog entries that would suggest specific ways to develop an effective response. 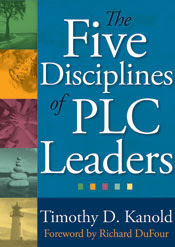 As PLC leaders respond to failure, they are willing to abandon old behaviors and programs that are not working well, hold onto the old that is working well, and make way for new actions and the new risks. Think of these actions as planned abandonment. We will implement and train on the new problem-solving elementary school math program. We will also receive professional development training to help support our Tier 1 and Tier 2 RTI efforts in grades K–5. And everyone will implement last year’s literacy training for academic vocabulary as we continue our work with formative assessment building. To assume this much risk taking requires an accompanying leadership plan for systematic abandonment of other work-related tasks. Are there any concurrent practices that no longer provide evidence of viability for success? Can you move efficiently to let them go? Ultimately, all adults in a professional learning community understand that failure should be embraced as part of the learning cycle. One of the greatest and most consistent mistakes that new-formed PLC cultures make is attempting to do too much all at once. Part of maintaining a healthy risk-taking culture is following a systematic plan to abandon ineffective practices as you and your leadership team take on new risk-oriented activities. What makes team learning and risk taking more vulnerable than solitary learning and risk taking is that the former is so public. Professional learning communities are all about using the hard facts to make the school organization better. Your legacy is revealed through the school’s response to failure and its risk taking to close the gap on student and adult success. 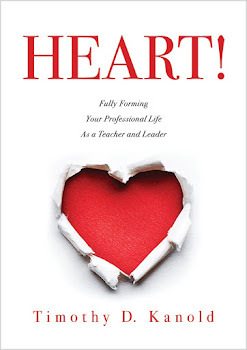 The discipline of inspiration and influence requires your intentional and positive embrace of learning from failure and mistakes in order to create a better “next year.” Such actions improve your chances of living with no regrets, especially the regret of leadership inaction, such as the regret I felt after waiting seven years to actually enforce student-engaged learning as a requirement in every classroom. Admit and abandon failed practices, and begin to take risks on new research-affirmed actions today. Start your planning now for 2012-2013. PLC Legacy Practice 1: Responding to Failure!